Our Portland boutique is moving to SE Portland on September 1! Our current boutique located on 20th & Alberta in NE Portland, which has been our home for 3 years, was purchased by a developer. So we’re having to say “good bye” to our Alberta space and “hello” to a larger, beautiful space on Division Street, featuring 2,500 sq ft of amazingness with hardwood floors, air conditioning (yeah!! ), 6 large fitting rooms, and much more! If you are planning to SHOP with us in August, our current location in NE Portland will be open normal business hours through Sunday, August 28. We will be closed during our move on August 29-31. Our new location in SE Portland will open Thursday, September 1, 2016! 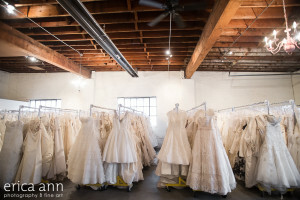 If you are planning to DONATE your wedding dress after August 25, please mail it to our new address in SE Portland to ensure that it arrives at our new location. Download the Donation Form with our new address! We will continue to accept drop-off donations at our old space in NE Portland until Tuesday, August 30.We are excited for our new home on Division Street! Here’s our new address starting September 1st! There’s tons of free street parking. There’s also a guest parking lot behind the building, enter on 11th. On weekends only, parking is available in the parking lot across from our building at 10th & Division, even though it says permit parking. For more info, please call 503-282-4000 or email info@bridesforacause.com!